Life is full of questions we don't have the answers to, or questions we have to learn through to find the answers, and questions we can't ask until we know the answers, and...well, you get where I'm going with all of this. Since Sookie was born I have wondered, why me? I didn't do anything grand or amazing. I did power through something I did not think I was going to survive, but wouldn't we all do that? I do wonder, is this the world's way of balancing out former gut wrenching heartbreak that has occurred in my life? Why did I get a pregnancy that was (relatively) non-complicated and a healthy, full term infant... against the odds? I'm painfully aware that so many pregnancies that are deemed "normal", end in tragedy. I am reminded daily how lucky I am to have her in my life, but I don't believe I deserve it more than anyone else. By no means do I wish horrible things to happen, but nothing makes sense to me anymore. And I suppose that is where some of my guilt comes from. There is a book I once read during college, titled 'When Bad Things Happen to Good People'; the whole premise is bad things happen all the time, karma isn't responsible, they just happen. Good people don't get everything that they deserve, and so on and so forth. I wanted to like this book, really I did, but I don't feel like it tackled the tough questions the way I envisioned it would. I don't know where I'm going with this, I really wanted to ramble about survivor guilt and how I know I am a good person and I deserve good things. But good things happen to bad people all the time. I have seen it over and over again. I have really been hit with all of this in the past week or so with everything that is happening in our tight Cystinosis community. We had a 23 year old lose her life on the 8th, and now we have a 17 year old fighting for her life in intensive care. Her complications and circumstances are a result of a side effect multiple doctors were convinced I had, post transplant. Talk about goosebumps and a million questions I will never be able to answer. I read this news on my iPhone while snuggling with Sookie (during our morning ritual of songs and books in bed) and instantly wanted to scream. I wanted to scream for many reasons. I wanted to scream out of unnecessary pain these women are going through. I wanted to scream for the agony this disease is causing their families and friends. I wanted to scream because this could have so easily been me at 17. I wanted to scream because I feel like I should be doing more with my life I've been given. I wanted to scream because I feel like I've done a lot already, but I need to do more. I owe it to myself, I owe it to my lifetime love, I owe it to Sookie, I owe it to those who didn't get the chance. I wanted to scream because we know it is possible not only to survive this disease, but to LIVE with it, finish college, fall in love, have babies, why can't everyone do what I'm (and others are) doing? I want every single member of my Cystinosis family to be blessed with the normalcy of certain things that we never thought we would get to experience. The normalcy of term paper deadlines, studying for finals, engagement rings, wedding plans, adjusting to the family dynamics of in-laws, morning sickness (that isn't from Cystagon), poopy diapers, decorating a nursery, making decisions about immunizations, all those beautiful issues of daily life. Family means many different things to many different people. It all depends on who you ask. I know some of my 3rd and 4th cousins very well, some I have never even met. It can be a strange fact of life for me to wrap my head around, but I think if you need certain people in your life, the world has a way of making them a part of it through whatever avenue it takes. This past week or so we have had a death and 3 new young ones diagnosed in our little Cystinosis community. Of course the new families diagnosed are only ones that I am aware of, I'm sadly sure there are more, but it breaks my heart each time nonetheless. With all of this going on I have really been aching for the company of these special people; whether it be because of a conference (which I have to wait until July 2011 for), or just a trip to hang out and be our goofy selves. Indeed there are many ugly facts that come with living with any sort of medical illness or diagnosis; you want to know life expectancy, you want to know what kind of life your child is going to have, you want to know the quality of life your precious one might have, you want to know medications, treatment options, risks, side effects, and so on and so forth. And then something breathtakingly special happens; you meet people going through this journey with you, they might be at different stages, but they understand in ways others truly can't, people who are strangers and yet an hour after meeting them you feel you have known them forever and a day. I've been blessed with this experience many times over my 26 years of this disease and it truly is something magical. I do not know what I would do without my extended family who make up my Cystinosis family. They are there for the little moments, the big victories; like a surprise and previously thought impossible pregnancy and everything in between. They understand dual alarm clocks so you can wake your child up in the middle of the night to give them medicine, they understand medicine that smells and tastes like rotten eggs, they understand doctors who do not know what they are talking about, they understand the frustration and pure hell of misdiagnoses, they understand insurance battles, they understand the battle of a perfect diaper system so you don't have to wake up twenty times during the night to change your child's bed sheets. They understand the daily struggle, the hourly struggle, the heartbreak that your life is nothing like you thought it was going to be. And even though you will reach that state of acceptance, you can mourn the loss of normal for the rest of your life. They understand that, and it is okay. Along the way, they will make you laugh through your tears. And most importantly, they understand and appreciate a really hilarious vomit story. Lately I have the feeling none of this is real. I've watched friends and family members venture through the adventure of pregnancy and have their children, and now that it is a reality for us, I still feel like I am in someone else's life. For example, the other day I noticed a blanket, a few toys and a boppy pillow in our front room. I did a double take. It made me laugh because things such as those should no longer feel out of the ordinary in my life, especially considering all the years I spent as a nanny. However, for some reason, the moment felt so foreign and I had to chuckle to myself. I can blame it on extreme fatigue or what I like to call Mommy brain fog; and I thought pregnancy brain was bad. 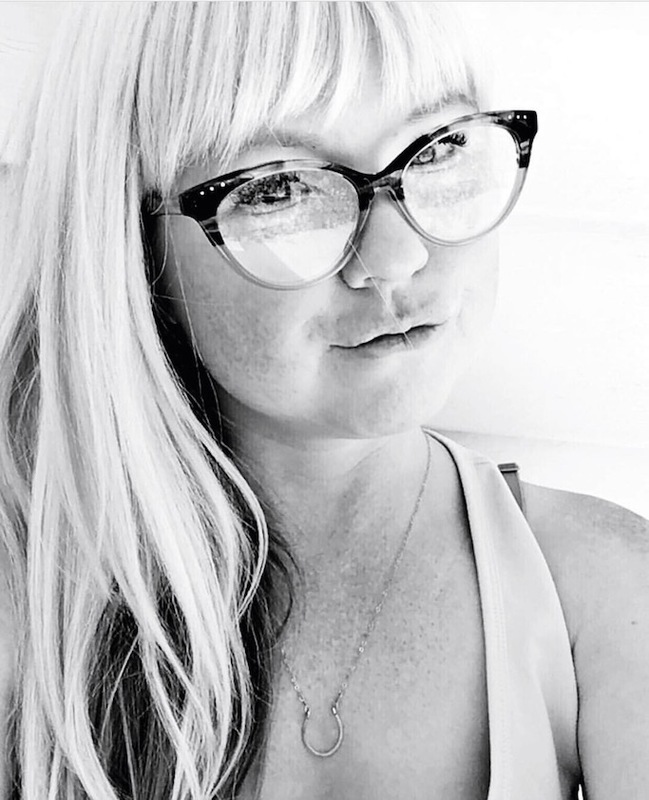 Mommy brain fog is a result of multiple factors that consist of, but are not limited to, constantly wondering if you are doing enough for your child, worrying about SIDS, thinking about teething, sold foods, the pros and cons of vaccines, making 8 bottles a day and still trying to learn that you can't beat yourself forever about not being able to breastfeed, going to bed every night with a million things still left on your to do list, but telling yourself it is okay, you will get it all done tomorrow. My sweet, hilarious little munchkin is nearly 6 months old and yet I am continually getting used to carrying a giant bag of diapers out to the trash (yes, yes I know I need to switch to cloth or the g-diapers), gently handling a freakishly slippery child straight out of the bath, and mastering the oh so delicate art of perfecting the process of packing a diaper bag, among many other things. It is strange how you want something to happen for so long and then when it surprisingly does very unexpectedly, it takes forever and a day to truly sink in. We finally bought a crib the other day. I could not believe how weird the sales people acted when we said we wanted a black crib, and that our babe was indeed already here, and five (and a half) months old. Yes, she has been sleeping in our bedroom, either in her co-sleeper (best.purchase.ever), her swing, or our bed on top of me. I firmly believe in the benefits of having your baby sleep in your bed with you once in a while, with careful consideration for many factors. In addition, my heart thinks you should cuddle while you can. You blink and they've hit another milestone. So, I suppose the the point of this is, I often become extremely frustrated with people I have to deal with in public, and R thinks I over analyze every tiny interaction. Which is most likely true...I am a woman. A woman who is a Leo. A redheaded woman who is a Leo...okay you get the idea. But! I am excited the crib has finally been purchased, should be here soon and yes indeed is black, for our little rock princess. Over the 4th of July weekend, R and I had a crazy thought at the same time. We decided it would be fun to challenge ourselves with Sookie's first road trip to Idaho and our first trip as a family. Now, bless her heart, she actually loves being in the car. Most of the time she ends up falling asleep. Although, she had never been in the car for more than an hour at most. At first, I let myself get caught up in the packing and throwing everything together in a matter of hours, as this was a last minute decision. Then, as soon as we pulled the car out of the garage, I started to panic. This might turn out to be a complete nightmare. We tried to endure the fair in Idaho on the night of the 4th, but the universe just didn't want that to happen. We missed the fireworks and all that fun, but I think perhaps it was for the best because Sookie was able to see the fireworks from far away and wasn't traumatized by the noise. Of course, in the end I worried about a lot of things that never came up. Sook did very well in the car on the way up and on the way back. We stopped a lot to give ourselves a break, and for her to have a little exercise outside of the car seat. I am so grateful we took the risk and just went with it, despite the stress of traveling with a 5 month old. We were able to spend the weekend with family and it never hurts to give yourself a break from the routine. R and I were able to have a myriad of fun and interesting conversations that were abundant in our early dating weeks and months. These talks served as a fresh little jolt for our relationship as new parents. It never ceases to amaze me how a few days out of your normal environment can change your outlook on tired issues. I adore coming home with a renewed sense of zest for life, love, and mommyhood. You are five months old now and mommy can't quite believe it. In some ways it feels like you have been a part of my life forever, and in other ways it seems like I found out I was pregnant yesterday. Time is a tricky concept, but you will soon learn that for yourself. Every day you change and it is as though you are learning something new each minute. I love to just sit and watch you figure out how to maneuver your hands to grasp a toy, or pull your knees under your belly in your early attempts to launch into crawling. You make each day a new adventure and I am so happy for that. Mommy was a nanny for many years before you came along and I knew then that motherhood was the most difficult job in the universe. I am learning that more than ever these days, but I am oh so grateful for this time with you. I know I am very lucky I have been able to stay home with you for 5 delightful months. I'm always wondering if I am making the best choices for you. I try my best to cater my parenting to suit your needs and make sure it fits your personality and temperament. I find myself getting excited for all of your milestones coming up; solid food, crawling, talking, walking. However I stop myself and take mental snapshots of every little quiet time and flash of where you are now. It is so important to learn how to be in the moment and that is something you are helping mommy truly work on. I worry about you a lot. Daddy says I worry too much, but that is always something I have been good at doing. I don't want you to worry as much as I do. I want you to go for what you want in life and in love. I want you to be yourself, no matter who that is and not listen to anyone else who thinks they know what is best for you. Only you know what you need to do. I want you to love with every fiber of your being and not worry about getting your heart broken. The joy really is in the ride, sweetheart. I want you to only concentrate on making yourself happy and not care about others or their opinions of you. Above all else, I want you to remember you are a true miracle. You are living and breathing proof that the impossible is never worth giving up on. Today was one of those days where you want, for just one second, to be left alone. Today was one of those days when you have a fussy baby, a frustrating other half, and an obnoxious dog; and no matter how much your love for all of them spills over, you just want to be able to pee without anyone bothering you. True story, ha! Sookie was incredibly grumpy today, I think she is getting teeth; well that and boycotting naps. R wasn't feeling well. It was nearly 100 degrees today and Jack (our dachshund) wanted to go visit the neighbor dog approximately every 2.5 minutes. And of course there were dishes to be done, my resume to be tweaked, laundry to be folded, floors to mop, jobs to apply for, packages to mail, and many other things on the to do list. Earlier this evening, I told R, this is all I ever wanted...so why do I need a break? His response? Even too much ice cream isn't good for you all of the time. Oh, I wise man I have found. Sookie turned 5 months old today and I really do not understand the concept of time any longer. I know I've said this before, but it is so true. It felt like it took so achingly long for her to get here, and now that she is indeed here, time seems to have sped up ten fold. I know we take a ridiculous amount of pictures, but I am extremely grateful for that. I cherish every single moment with her and try to take mental snapshots of this precious time together. Even though today was a challenging day mommyhood wise, I don't ever forget how lucky I am. It's all about perspective; just when I was hitting my breaking point and beyond frustrated with everything, I stopped and thought about Megan, who was burying her sweet baby boy, Cohen, today. I instantly felt like a terrible human being and held Sookie a little tighter. The thing is, no matter how horrible you think your day is, chances are there is someone out there wishing that they could have those obstacles and aggravations that you are having. It is good for the soul to remember this. 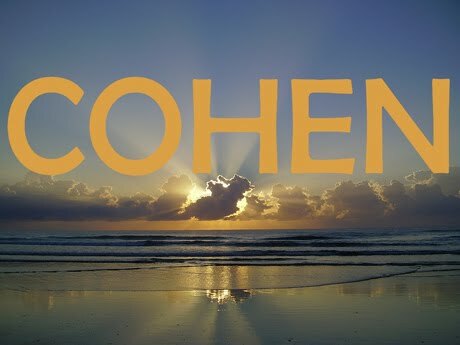 Day of blogging silence for sweet Cohen.